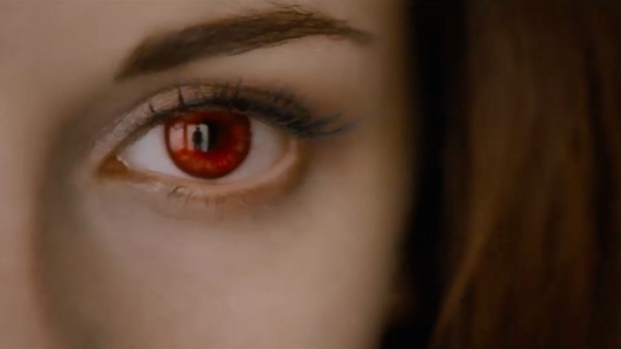 As "Breaking Dawn - Part 2" opens in cinemas, stars Kristen Stewart, Robert Pattinson and Taylor Lautner prepare to move on. "Twilight" Cast Names Taylor Lautner "Most Nipply" With "Best Six-Pack"
As the sun sets on the “Twilight” film series after five movies, the saga’s shining stars are taking a moment to bask in the afterglow before moving on to new ventures. In 2008 actors Kristen Stewart, Robert Pattinson and Taylor Lautner became overnight superstars thanks to their film roles based on author Stephenie Meyer’s already phenomenally popular series of novels centered on the triangular conflicts of high schooler Bella Swan, her vampire suitor Edward Cullen and her werewolf best friend Jacob Black. After five years of blockbuster box office, intense fan adoration and extreme media scrutiny, the three leads are about to take their final bow in “The Twilight Saga: Breaking Dawn – Part Two,” and before the credits roll they look back on the ins, outs, ups and downs about being part of – and moving on from – one of the most beloved film franchises of an era. Kristen Stewart: [The phenomenon’s] grown so much, even recently, so I don’t know if we ever really realized to the extent that it’s gotten to, but Comic-Con for me was the first time I was ever hit with a wave of human energy that was like, ‘This is not a normal movie!’ We always really approached ‘Twilight’ as something that felt so very much like our own, and that first dose of sharing it, the first dose of looking up and seeing something that’s really affected you and moved you does the same thing to other people was mind-blowing. ... I was excited and it incredibly overwhelmed me, admittedly, but it is kind of the greatest part of the job, to be able to share that. Robert Pattinson: After the first one, when something becomes so big someone starts referring to something as a ‘franchise’ – Franchise is a Burger King or a Subway. It's not a movie. And as soon as people start to say it – generally the people who are making money off it refer to it as franchise. They love it when something becomes a franchise, but as an actor in it, I think it's scary. You really, really feel like you have no control. It's a huge juggernaut, especially when something becomes part of the cultural landscape in a way as well. It's really scary because you get trapped, and you get scared of changing, which is the worst thing that can happen if you want to be any kind of artist. Taylor Lautner: I've grown up a ton because I did start this when I was 15 years old, so that's just bound to happen, but it also is kind of an accelerated rate. Also, working as an actor and having the opportunity to work with some of the people in this franchise – I love the fact that we had different directors for each movie, except for these last two. That was amazing to play the same character but be directed in a different way every time and have different input. Pattinson: It's kind of fun to deal with the terror and the kind of huge highs and lows. I was still getting massive surprises any time you have any kind of ‘Twilight’-related event or anything. I think it was the third movie where we went to Munich, and the entire Olympic stadium was filled with fans and just [for us] to walk in there and do nothing. There was supposed to be a Q & A, and it was me, Kristen and Taylor. We just stood in the middle of the Olympic stadium with 30,000 people just screaming, and we just stood there like, ‘Yep...’ For 15 minutes. I mean, it's absolutely bizarre. There's no way you can ever compute it. Stewart: A question that I can’t answer is ‘What do you want to do next? What’s your dream role? What are you really looking to do? Where do you see yourself?’ It doesn’t make any sense because that’s such an outsiders perspective, suddenly you are going ‘Why do people look at me like this?’ And until you see it, what are you responding to? You are responding to other people’s perspective of you, which is so weird. Why a lot of actors do what they do, I don’t get that. But things have fallen in my lap and I’ve gotten incredibly, insanely lucky to get the right feelings and meet people that share them and that’s, if I can keep doing that, I would be a happy girl. Pattinson: People were asking me if I'm afraid of getting typecast and stuff, but you can't be afraid of it. It's really not up to you. I'm getting other parts that aren't vampires. I don't know if people will accept me in them or whatever, but it’s really nothing to be afraid of. I don't know how people will remember this series at all. It's crazy how intense people are. The fan base is still huge five years on, so I don't know how long it’s going to last for. It will be insane if it was still the same tenacity in 15 years. Lautner: I love challenging myself and doing different things and exploring different areas that I haven't been to or gone to before, and that's what I love about acting, that's what I love about film. So that's my goal. I'm really excited about a few things that I will most likely be starting really soon, and I'm excited I'm re‑teaming with the producers of ‘Twilight,’ who I love and I have an amazing relationship with on an awesome script that I'm excited about. It's different for me: it's very serious and dramatic. Pattinson: When I did ‘Harry Potter,’ I remember looking at Dan [Radcliffe], Rupert [Grint] and Emma [Watson] and being like, ‘Wow – those guys are ACTORS.’ I was starstruck by them. Yeah, I've always had this sort of separation. It's funny to see people get humanized, because with Dan, Rupert, and Emma, I was with them for 11 months, and I still see them as massively famous people. It's strange to have gone through the same experience with Taylor and Kristen as well. It's massive, and to see people retain their sanity as much as possible – I've seen a lot of other people have minor amounts of fame and just lose their mind completely. Lautner: The biggest thing I'll take from this is those relationships [with Rob and Kristen]. We are so close right now. They're some of my best friends, and that won't go away at all. It will be more difficult because we don't have the excuse to spend months and months and day after day with each other, but our friendships will go on forever. Stewart: Another really common question is going to be ‘How does it feel to walk away from this?’ and I genuinely feel like I don’t have to walk anywhere. What I love about this job is that you hold these things - you wouldn’t have done it in the first place if it wasn’t something I was always going to carry, and I think they feel the same way: they tell me they do. Stewart: I kept Bella’s rings. The rings are really important to me: her mother gives her a mood ring in the beginning, it fully and completely reminds me of Catherine Hardwicke every time I look at it. And the engagement ring. Yeah, I have that too, I hold onto that one. Pattinson: [The last scene we shot] was hilarious, considering we spent the entire series filming in the most miserable conditions, and then we end on the beach in the Caribbean for two days in the sea. We literally did the last shot as the sun was coming up in St. Thomas in the Virgin Islands. It was a nice way to end it, because they were considering shooting it in the sea in Vancouver, which would not have worked at all. Stewart: I am so happy that the story is told, you have no idea…But I don’t want it to sound like I am excited just to be done with the experience, because to be honest, it’s like such a particular tone – you do an interview for “Twilight,” you go back, but anything, like reshoots, conversations with past directors, anything, it just falls right back into that. It’s a feeling and I will definitely miss that. But I feel like it’s not going anywhere, I feel like anytime something is brought up, or you see someone, It is sad, it is strange, but it’s normal. Things shouldn’t stay stagnant. Got to move on. Pattinson: People were asking me how I'd feel when it all ends on the first movie, and I don't think I've ever felt more completely bewildered knowing that I only have a month of ‘Twilight’ stuff left to do. I don't know – I've said since the second one, it's going to take ten years to really settle in my brain. So I'm four years into it, but I don't think there IS any analysis. I don't think anyone knows why people like it. I don't think even the fans know why they connect with it in the way they do. It's a visceral thing – I don't even know if Stephenie Meyer could tell you why she was so fixated on this very, very contained story and kind of obsessive characters. It's just a kind of anomaly.